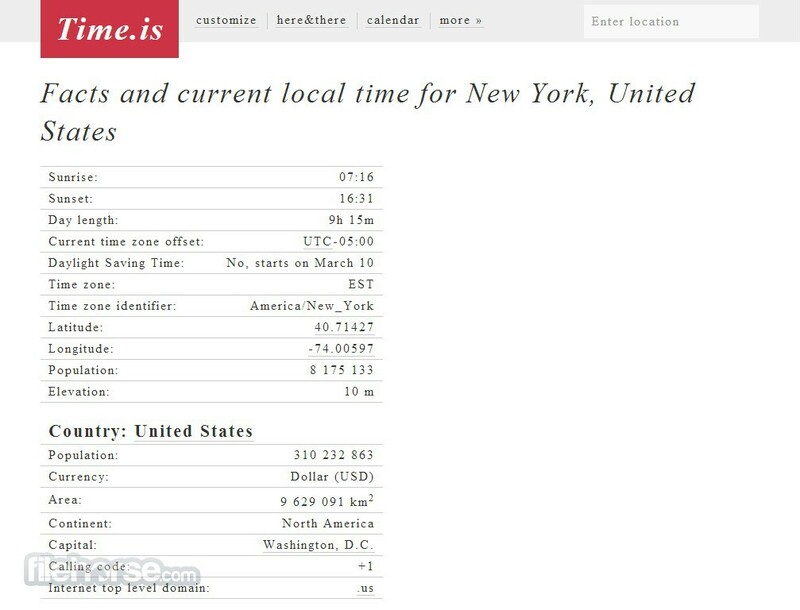 Is an innovative utility web service which can provide you with excellent tracing of time in your own time zone as well as in the all other parts of the world. 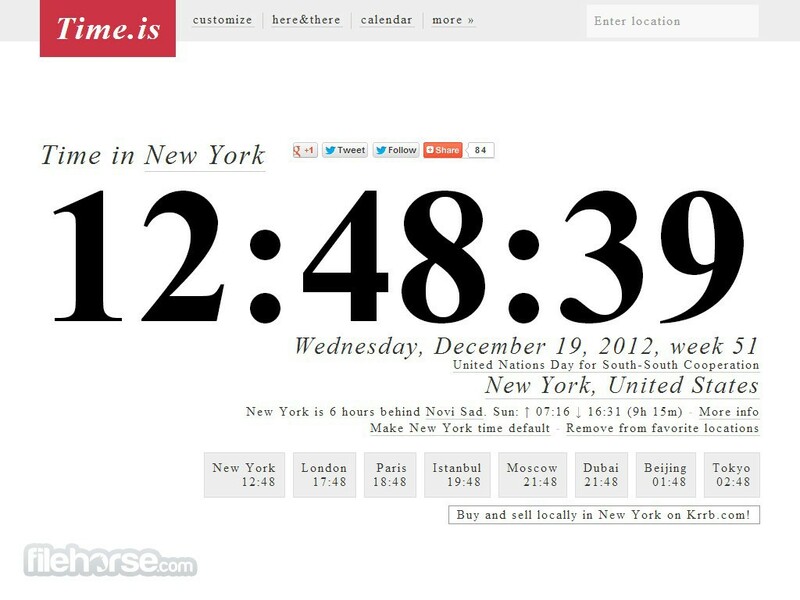 Using excellent visual style and easy to use interface, you can instantly track time no matter where you are. 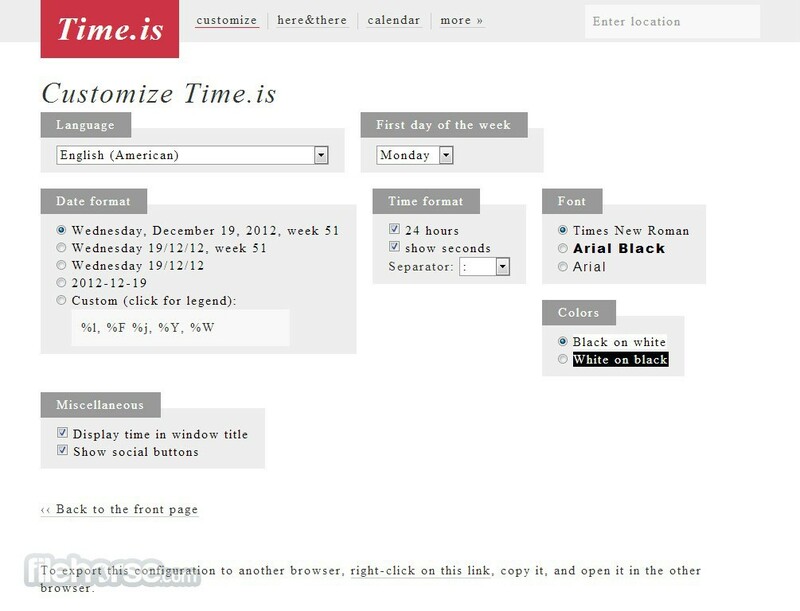 When you first arrive to Time.is you will be welcomed with a big digital clock and a notification if your integrated system clock is running ahead or behind of the official atomic clock. 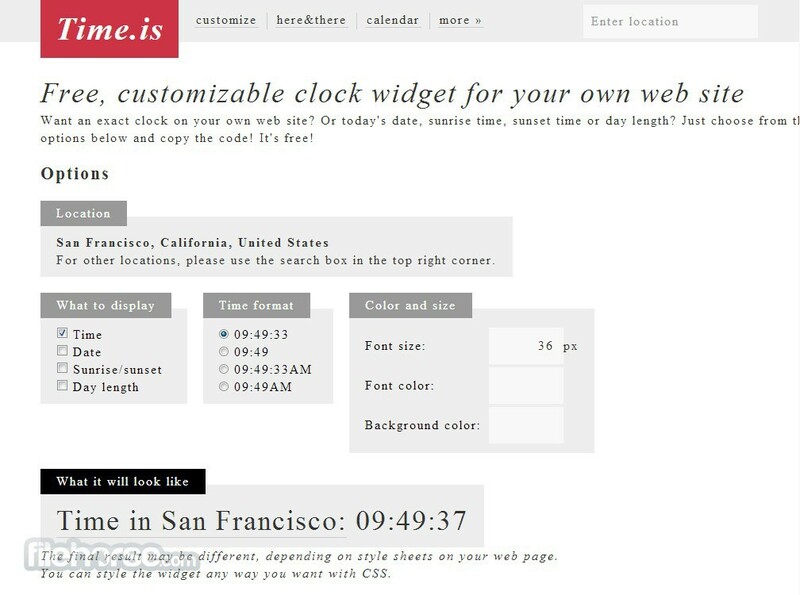 There, you have instant showcasing of the time zones in the most popular cities in the world, comparison of current times in several time zones, calendar, customization options and ability to grab source code for customizable widget that can be embedded on any website or blog you own.